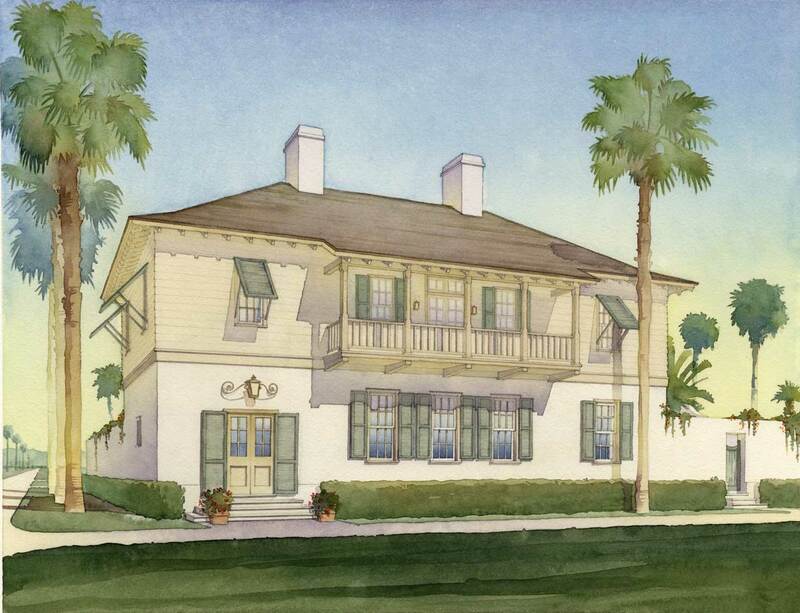 The design for this stucco and wood cottage and carriage house project for a Duany/Plater-Zyberk-designed new town community in Florida is influenced by Anglo-Caribbean building traditions as well as the elegant architecture of American towns like Charleston and St. Augustine. The main house and its corresponding carriage house frame a large walled garden with a swimming pool which extends between the two buildings, linking them together. The rooms of each building embrace the outdoors through French doors and loggias, engaging both the central garden and individual, smaller gardens which surround the two cottages creating intimate and more private spaces within the walls of the compound to balance the convivial community life outside the walls.